It’s probably widely accepted view that failure to adhere to towing limits may lead to road accidents as well as accelerated wear and tear of towing and towed vehicles and in many cases - costly breakdowns. It may be however less obvious that exceeding towing ratings may also result in fines and (in case of an accident) – to rejection of insurance claims and even legal actions. Recognizing importance of towing-related ratings and limits (which are not always clear and for many of us often confusing) we will try to “demystify” the meaning of the most important ones. Below, you will find definitions and practical notes and details regarding the following parameters: GVW and GVWR, GAW and GAWR, GCW and GCWR, Curb Weight, Dry Weight, UVW, Cargo Weight, Payload, Tongue Weight (Hitch Weight or Ball Weight) as well as King-Pin Weight. We also provide several tips for RV-ers, especially dedicated for these starting their “road adventure”. For most of us car plays an important role in our lives. We somehow get used to the fact (and we do expect it without any deeper thought) that we can load our car with “stuff” and it will handle it without “complaining”. Well, although it may be true under normal circumstances of everyday life, things drastically change when we hit the road with a trailer pulled behind. Assuming that it’s a “business as usual” may have severe if not tragic consequences. That’s why manufacturers establish ratings (weight limits) that if correctly understood and respected, should make our road experience a pleasurable event. Ratings: Limits representing the maximum weights of a loaded vehicle or a trailer as well as maximum weights of the tandem including both: Tow and Towed vehicles that should never be exceeded. Brakes in the towing vehicles may not be able to safely stop the tandem (tow & towed vehicles) over the expected distance. They may (and certainly they will) overheat, further reducing brakes’ efficiency. 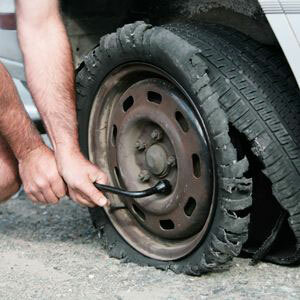 The least dangerous consequence will be the need to replace breaking pads due to their accelerated wear! Tires may explode due to overload and resulting overheating! Suspension (springs, shock absorbers etc..) may be damaged or even broken-down what will lead to the loss of control on the road. Car’s handling on the road will be very different compared to what you get used to. Needless to say where this may lead! Typically, the acronym GVW applies to tow and towed vehicles, although sometimes manufacturers may also use the acronym GTW (Gross Trailer Weight) specifically for trailers. For clarity, due to functional differences between the tow and towed vehicles, we will use correspondingly acronyms GVW for cars and GTW for trailers. GVW is the actual, (in other words measured on the scale) weight of the loaded “ready to go” vehicle. It is the sum of manufacturer-specified Dry Weight (DW), all consumables (fuel, water, propan etc…) and the Payload (the weight of Cargo as well as that of a driver and passengers (if any)). In the case of the towing vehicle (be it a family car, SUV, pick-up truck etc.. – for simplicity let’s call it “car”) the concept of GVW is quite simple. Cars usually do not have installed any optional equipment of significant weight. As the result, the data provided by the manufacturer (label stamped on the frame of the driver-side door) provides the valid number for the DW. The weight of the fuel can be estimated based on the capacity of the fuel tank. The weight of the driver and passengers is usually approximatively known so the only “loosely” estimated weight represents the Cargo. The cargo includes everything else you may throw into the trunk (or on the bed of the pick-up truck), place in the cabin, install on the roof (roof rack and its content) as well as tow bar (if not factory-installed) with everything attached to it. However, in practice we rarely pay attention to GVW assuming that the car can take all! If the tow bar (or any other options) are installed by the manufacturer, their weight will be included on the label specifying car’s Dry Weight (DW). However, if they are installed by a dealer (out of manufacturer’s control), you have to consider them as part of the cargo (or add to the original DW number). If the car is used for towing, its GVW is increased by the fraction of trailer’s weight transferred by the coupling hardware (hitch). If the trailer is properly loaded, the transferred weight will be in the range of 10% to 15% of trailer’s weight (GTW) and correspondingly 15% to 25% of fifth wheel’s GTW..
Trailer’s weight (GTW) depends on its configuration (road or camping). Under normal circumstances it is illegal to carry passengers in the trailer when driving (the only exception are 5th wheel trailers, provided, that passengers have communication with a tow vehicle (audible or visual), at least one exit can be opened from the inside AND from the outside and windows have safety glass). In other words, passengers are not part of the payload on the road. However, all passengers from the towing vehicle will add into the load (and so GTW) when on the campground! When the trailer is connected to the towing vehicle, the major part of its weight is distributed over its own axle(s) (85-90%), while the smaller fraction (10-15%) is transferred through the hitch to the towing vehicle. The mentioned numbers apply to single or tandem axles trailers. In the case of a fifth wheel trailer, much bigger part of its weight (15% to 25%) is transferred onto the towing vehicle via the king-pin hitch. As the result, when hitched - the amount of trailer’s weight supported by its suspension (springs, tires etc..) is lower than its actual GTW. Also, when on the road, trailer’s weight does NOT include passengers. When the trailer is disconnected from the towing vehicle (typical situation on the campground), its weight is distributed over the axle(s) and stabilizing jacks (the latter provide substantial relief for suspension). The major change however is that now, trailer’s GVW is increased by the weight of all passengers on the board (including visitors if any) and the weight of the hitch (substantial for 5th wheels)! 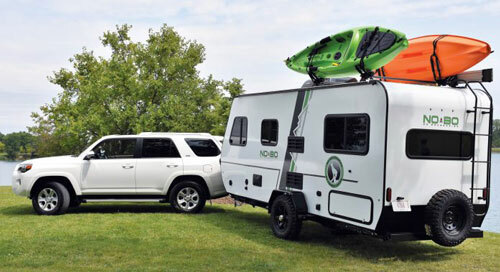 Trailers (compared to towing vehicles) can have a lot of optional, usually permanently installed equipment (microwave, AC and heating units, power generator, awning, TV unit(s), Solar System, extra cabinet(s), but also extra battery(ies), LPG tanks, spare tire etc…). Additionally, trailers have water tanks (fresh, grey and black) that when full substantially add to the actual weight of the trailer. All these options considerably increase trailer’s GTW compared to its factory-specified Dry Weight leaving much less room for cargo! On the other hand, your wish list of items necessary for longer trip is usually very long and so the risk of overloading is real! That is why, while the GVW of the towing vehicle can be quite well approximated, it may not be the case of the value of GTW. The bottom line is that the only way to be sure about the actual value of the GTW is to drive the RV on a scale and measure it! Once you decide to do it, you have also an opportunity to measure the actual weight of your tow vehicle (GVW). In the case of a motorhome (any class), the GVW includes the total weight of the motorized vehicle, passengers and everything in it what makes “home”. The special case is also a truck camper (which is not subject of this article because it is not pulled behind but sitting on the truck’s bed). Its GTCW is not that important from the point of view of the camper itself (as it does not have its own suspension). However, its weight (GTCW) must be known because it considerably contributes to the GVW and RGAW of the carrying vehicle (truck). GVWR is the maximum allowable weight of the vehicle or of the unhitched trailer. It is a fixed number determined by the manufacturer and displayed on the label inside of the vehicle’s door frame. The GVWR cannot be changed because it is determined by the mechanical design of a given vehicle (strength of the frame, suspension, bearings, tires etc..)! Your duty as a driver and RV-er is to make sure that the actual GVW of the towing vehicle and of the trailer are always lower than their corresponding Ratings GVWR. Higher margin (difference) makes your driving safer and contributes to higher durability (life time) of your vehicles. The GVWR limit applies to any vehicle, be it a towing vehicle (car, SUV, minivan, pick-up truck etc), motorhome or a towed vehicle (trailer, fifth wheel etc) although for the latter often is used the acronym GTWR (Gross trailer Weight Rating). Note: GVWR of a towing vehicle is constant, however as mentioned earlier, its actual weight expressed by the GVW will change (increase) once the trailer is attached to the hitch. The French equivalent of the GVWR is known as PNBV (Poids Nominal Brut du Véhicule). The Australian equivalent of the GTWR is known as ATM (Aggregate Trailer Mass). Australians also define the limit called GTM (Gross Trailer Mass). It is the maximum weight of the trailer when hitched (coupled) to the towing vehicle. In other words, it is the maximum weight that can be imposed on trailer’s axle(s). The GTM is always lower than the ATM, because some of trailer’s weight is transferred on the towing vehicle. The GCWR is the limit representing the maximum weight (mass) of the tandem consisting of loaded towing and towed vehicles that is allowed on the roads. GCWR is determined by the parameters of the tow vehicle (powertrain torque, transmission gear, driving axles, chassis’ strength, hitch rating etc…) as well as by brakes. It is a fixed (constant) number specified by the manufacturer. Be aware, that the GCWR can be lower than the combined weight limits of the towing and towed vehicles (correspondingly GVWR and GTWR)! Note that you may also find an abbreviation GCWM (Gross Combination Vehicle Mass). It expresses exactly the same limit as the GCWR. Unfortunately, the GCWR may be a bit confusing or even misleading. Let’s imagine the situation when you drive alone a “mostly empty” car (no extra passengers and an empty trunk), while all load is carried by the attached trailer. Most likely you will meet the GCWR limit, however the tow vehicle (frame and hitch) may not be able to handle the load pulled-behind. 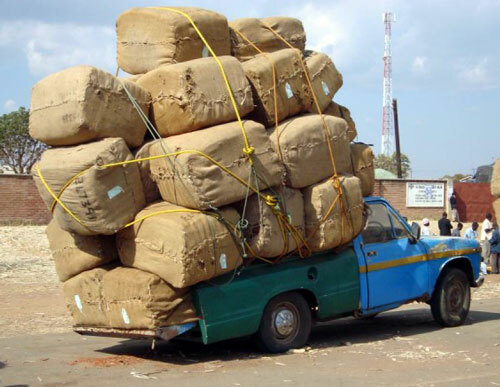 Also, from the point of view of safety, such uneven distribution of load may severely change the handling of your car on the road. In fact, it is better to use more practical (and safer) approach when towing the trailer. You definitely cannot surpass the GVWR limit for the towing vehicle (remember that the hitched trailer adds into the weight of the tow vehicle). But when it comes to towing, you must comply with manufacturer’s specified Tow Rating (TR). It determines the maximum load that your tow vehicle can pull-behind. Usually you will find this limit in your tow vehicle owner’s manual. While TR is also the fixed number, it can have two values: one for towing trailers without brakes and another one (usually of higher value) for towing trailers with brakes. Hitch rating (if NOT factory-installed, make sure that it can handle maximum allowed trailer load (TR) with a reasonable safety margin). Practical advise: within the limits of both - tow and towed vehicles, the payload should be distributed relatively evenly! In other words, no empty trunk and fully loaded trailer. Please note that complying with GVWR and TR limits of the towing vehicle you automatically comply with the GCWR limit of the tandem of tow and towed vehicles. accommodate dynamic loads when on the road (especially important for off-road driving). However, let’s make it clear – from the point of view of your safety and legal consequences, you should consider these limits as not to be crossed “red lines”. While the GVWR, GCWR and TR specify the maximum hardware-determined ratings (limits), the safety on the road also depends on your ability to drive and tow. These limits are determined by the category of your driving license. For example, in the Europe the ordinary category B (car) license gives you rights to drive the car of up to 3,500 kg (7,716 lbs) and tow the trailer not heavier than 750 kg (1,653 lbs) provided, that the GCWR of the tow vehicle and trailer is not higher than 3,500 kg. For everything heavier, you will need different category of the driving license. In the US, the ordinary driving license - category C (for car) offers much higher weight limits for driving and towing. However, the Motor Vehicle regulations and limits are State-specific so you have to make sure you meet your local requirements even when you drive across the country. You will find the similar situation in Canada where each Province may have different limits. You will find definitions and practical notes regarding Dry Weight, Unloaded Vehicle Weight, Curb Weight, Hitch Weight, Payload, Cargo etc… for towing vehicles and trailers.